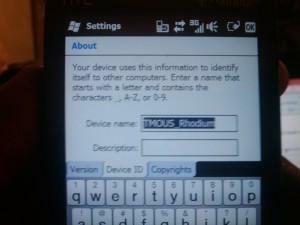 So you bought the popular HTC Touch Pro 2 but are having problems living with Windows Mobile 6.1. Well, we may just have a cure. If you happened to be stalking around the forums (they are the happiest place on Earth, but you knew that) around 1 Eastern you may have noticed an unofficial update to the WM6.5 ROM, with HTC’s Sense UI and T-Mobile USA features (like My Faves), that could be downloaded. Well, the should be famous T1 Connect went ahead and tried it himself, and it works. Unfortunately, the original download link no longer has the file. Don’t worry though, because T1 has you covered there as well. 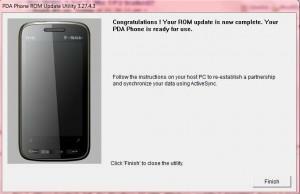 If you shoot him a Personal Message in the forums, I’m sure he will be more than happy to send you the ROM for the TP2 and the Dash 3G. Now, if you are worried about this somewhat shady download and update process, then just hold tight because we are hearing that the official update will be coming around the 20th of January. Leave your love in the comments! And now, a brief message and some photos from the friendly T1 Connect after the break. I guess you’ve seen and read the thread by now, so here are the pics. 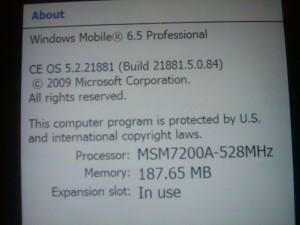 As you can see the myfaves, windows mobile 6.5 and all the rom info is there along with the installer. Also the radio is the newest thing out there and is included in the official htc WM installer and not in custom ones because they cannot do radio and rom at the same time. 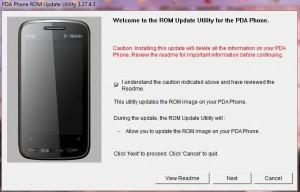 This rom also includes visual voicemail and the official tmobile visual voicemail that was activated for my phone via tech support. Also myfaves are included and cannot be duplicated in a custom rom, both dash 3g and tp2 are good to go (pending on the Dash 3G, but things look good). You guys need to use MyMobiler for screen shots! Much clearer! and i’m sure there’s an installer for the myfaves just like there is a cab for t-mobile my account. 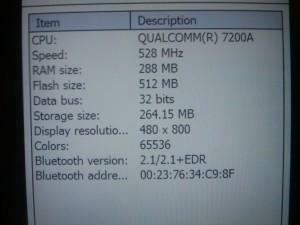 Any ROM with Sense 2.1 will usually run faster if not at the same speed than one with 2.5. It’s not hard flashing a phone either, and it’s become even easier with the new Flashing Methods all you really need is your phone SPL’d and then a MicroSD with atleast 200mb free for the ROM, the rest is a walk in the park. The newest radio really improves reception, it holds on to the signal for as long as possible. Good point, I’ve been too busy reinstalling cabs and setting up 6.5 I didn’t realize the improved reception. Until the upgrade I would get 1-2 bars of 3g inside my house. Now I always have full bars. Nice! 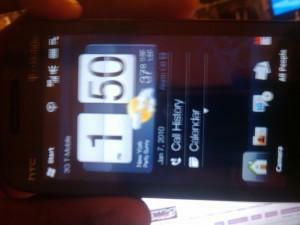 @Ifloss when you figure out how to put myfaves in a cooked rom please let the chefs over at xda know. Hey, dude, do you want your IMEI out there for the world to see? A couple quick questions for my TP2: Which version of Sense/Touchflo 3D will this official update have, and is the my faves feature able to be deleted or deactivated? 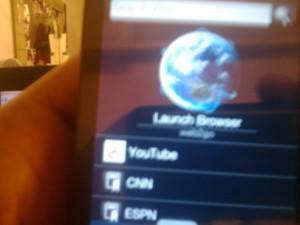 It has Touchflo 3D, sense, manila (all the same thing) v2.1 and myfavs can be deactivated like in v2.0. Thanks! I may try a cooked 2.5 before I do the official update. A better one too, rapidsh!t is terrible for people without accounts. my question: will t-mobile have 6.1 available fo us in case i try 6.5 & want to go back? 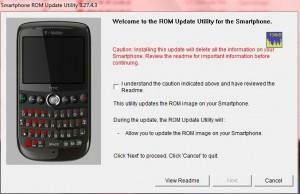 xda has the original t-mobile rom for people who need to reload it. I checked the ones they have there & they’re lower than the one on my phone. It works and looks great. So many extra stuff and improvement in performance and sound quality as well! Just connect the phone and run the program. Don’t worry about screwing it up, the software won’t let you… just don’t unplug the phone or turn off the computer during the update. DO you guys notive that RAM gets used up quiet a bit with nothing running? I have hotmail set up, but that about it, and i have seen RAM peak at 71%. Official release is set for the 13th, go to t-mobile.com/wmupdate. 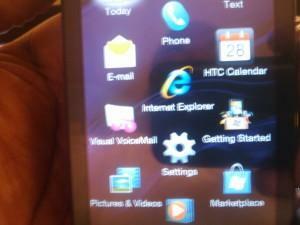 All phones that are being sold as of the 20th will have 6.5 preloaded. OMG…seriously, about freakin’ time, and LOVING IT! Hallo! Toller Post, ich habe mir mal deinen Blog gespeichert. I installed the t-mo rom yesterday and hated it x_______x probably because I’m used to the newer builds and my speed tests were suspiciously lower than the ones I ran on the older radio. Strange. I’m going to downgrade the radio. Maybe I’m a strange case. well considering your speedtests are wrong in the first place…. where can i get the update for my TP2, please!!!! T-mobile is not perfect but they are beginning to make significant progress. I am actually glad I went to the plus plans where there are no contracts even if paying full price for phones. Now I don’t have the hassle of contracts and upgrade eligibility, etc. 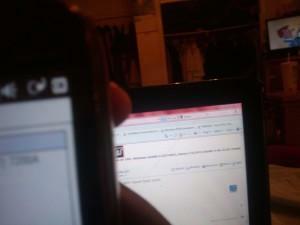 Also they are getting the 3G going and HSPA, etc. along with good phones. I hope they don’t let what they are good at (customer service) go downhill while focusing on these other improvements that are needed. If something happens to my TP2 or I get tired of it later, I will definitely get the HD2. luv the 6.5 upgrade!!! 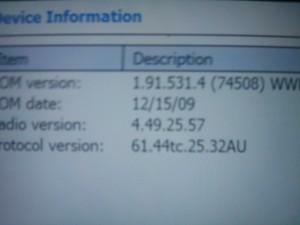 now starting 2 c the lil “H” 4 data connection, hittin 2mbs dsl reports. 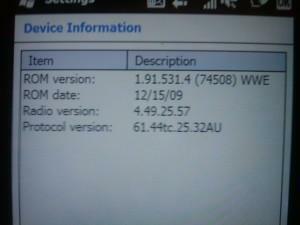 Since the official one is coming out on 20 of jan, is it ok to wait for the official Win 6.5 Rom ? or is the rom here the same with the one coming out on 20th jan ? Heard rumors about other stuff that is going to be fixed on the 01/20 version. Can someone verify this ? Love the 6.5 WinMo. 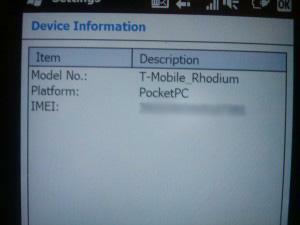 dont really understand what the wait was for releasing it for all carriers but its all good because TMo has it now.